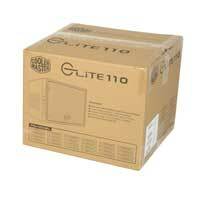 The Elite 110 is a mini cube compact case with support for full size standard desktop components. 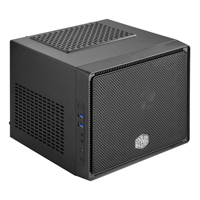 Other than the conventional mini-ITX case, the Elite 110 supports ample storage up to 3 HDDs / 4 SSDs and you can even install a 120mm radiator in the front for extreme cooling. 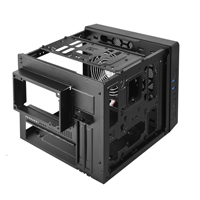 It can accommodate the standard full size ATX PSU length up to 180mm and the short dual slots graphic cards length up to 210mm.